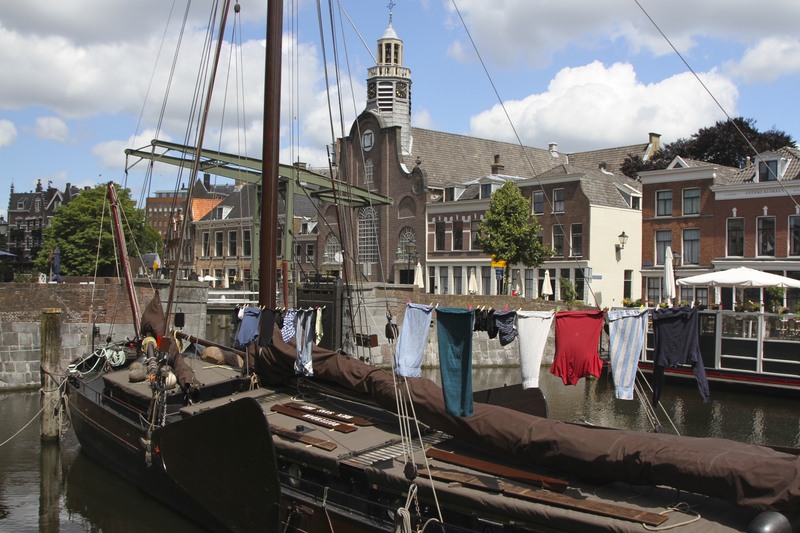 Historic Delfshaven, with its ancient maritime traditions, strong associations with the Pilgrim Fathers (were there no women on board?) 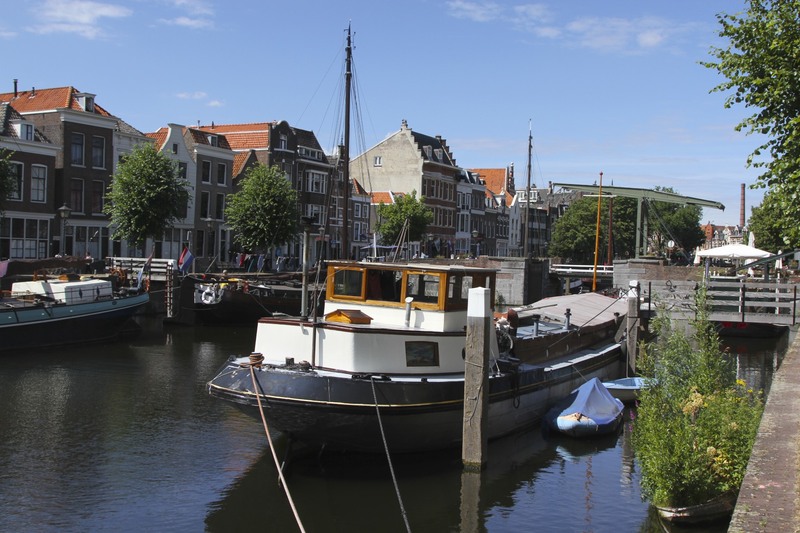 and lovely harbour filled with barges and sail boats, is the perfect place to have a festival of traditional Dutch culture. 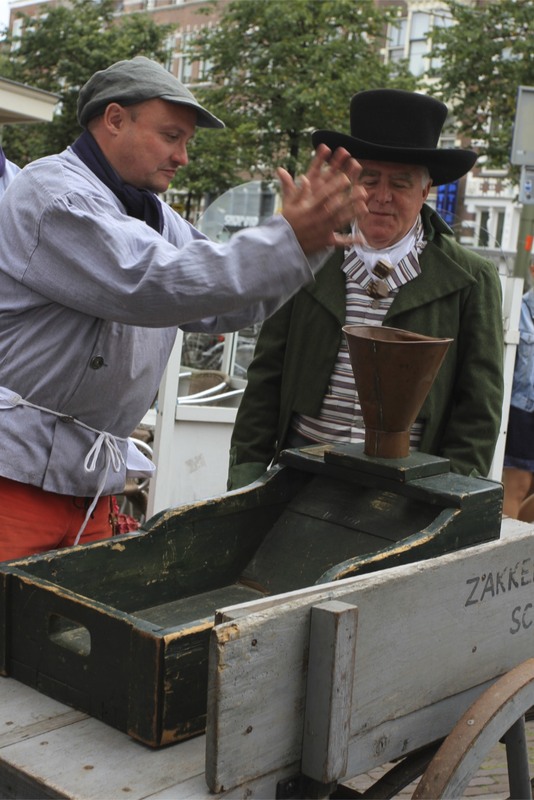 Ketels aan de Kade is a celebration of traditional crafts, clothing, industries, food and music…but mainly food. Thanks to Google Translate we almost didn’t go. Ketels aan de Kade translates as Boilers on the Quay, a less attractive name I can’t imagine. 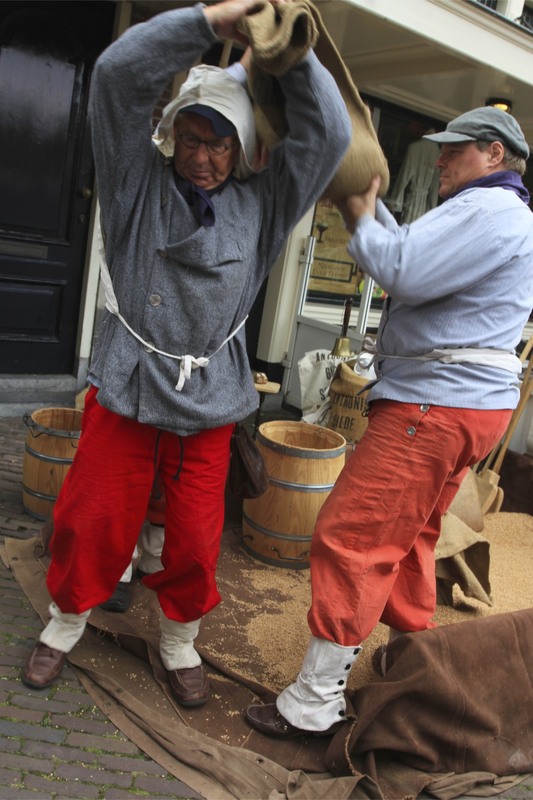 Luckily we’d been given the inside track by a contact at the Scheidam Guild of Porters, who were demonstrating the traditions of the Guild at the festival. 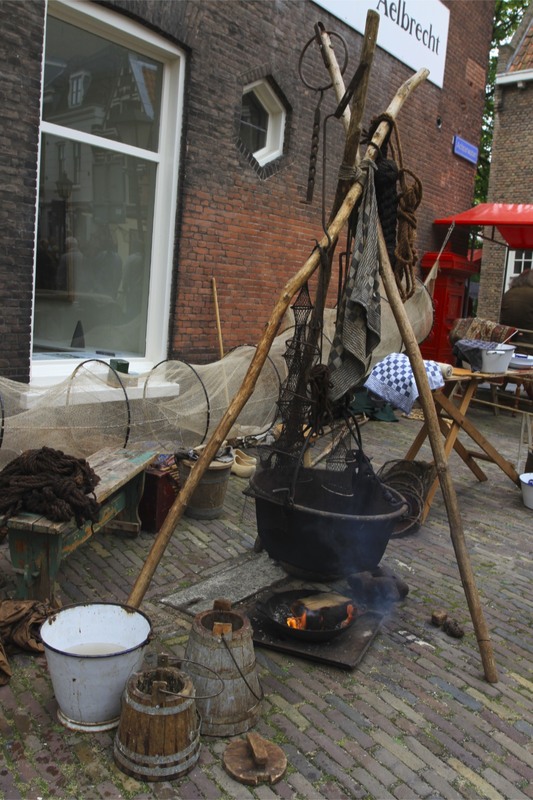 Although only small, the festival draws a sizeable crowd, hungry for culture and food from the stalls spread out around Delfshaven harbour. 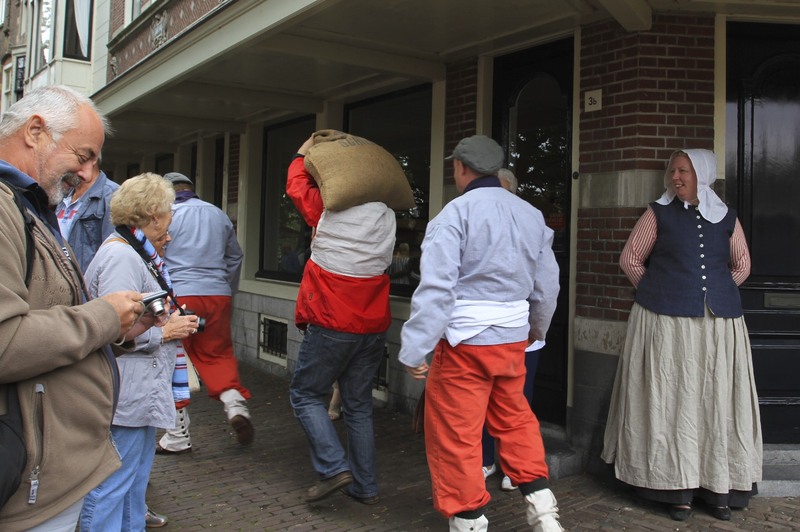 When we arrived the first people we bumped into were the Scheidam Guild of Porters who were just beginning a demonstration of their skills. 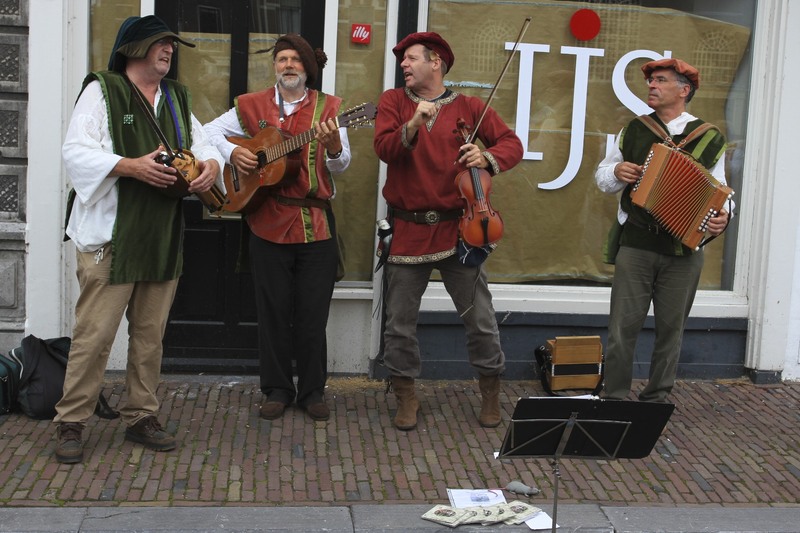 Throwing dice as they would have done hundreds of years ago to decide who got the work. This proved unfortunate. 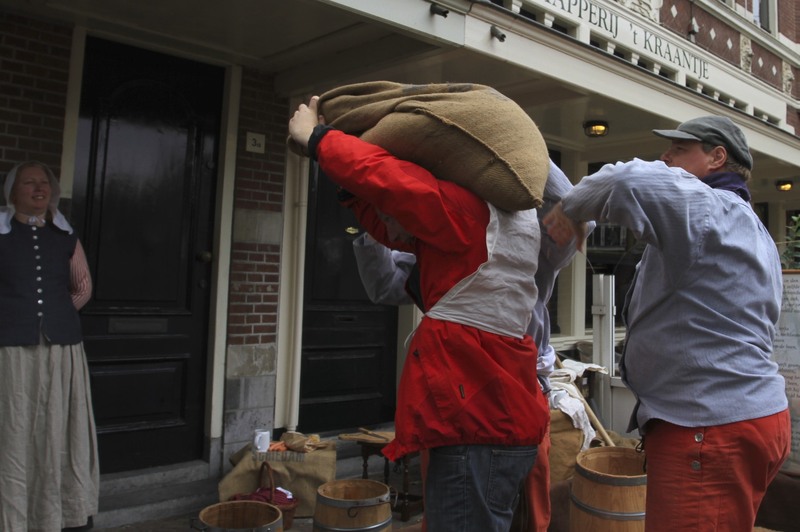 I was immediately co-opted to throw some dice and then to carry a bag of grain down the street, much to the amusement of the gathered throng. 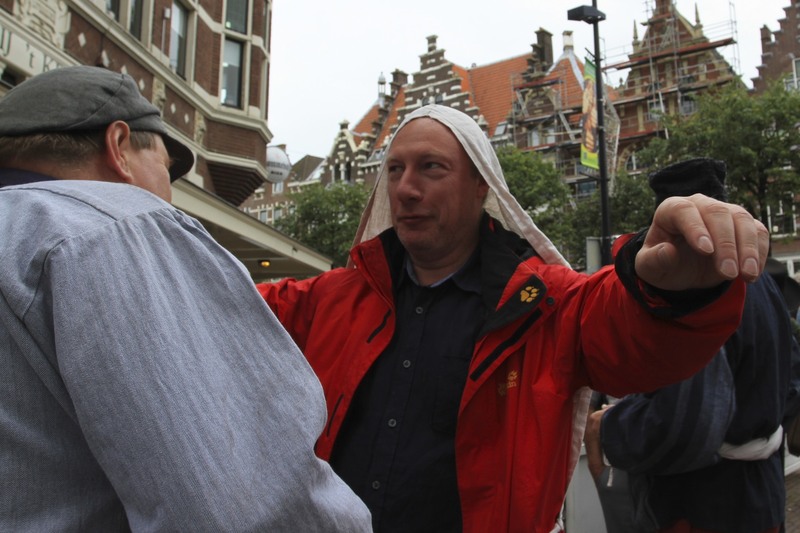 To be fair, it wasn’t my carrying technique which drew most laughs but the ridiculous headgear I was forced to wear – for my own ‘safety’. I looked like a badly dressed ghost at Halloween. Although it was only half full, the bag was pretty heavy and I was glad when someone finally took it off me. 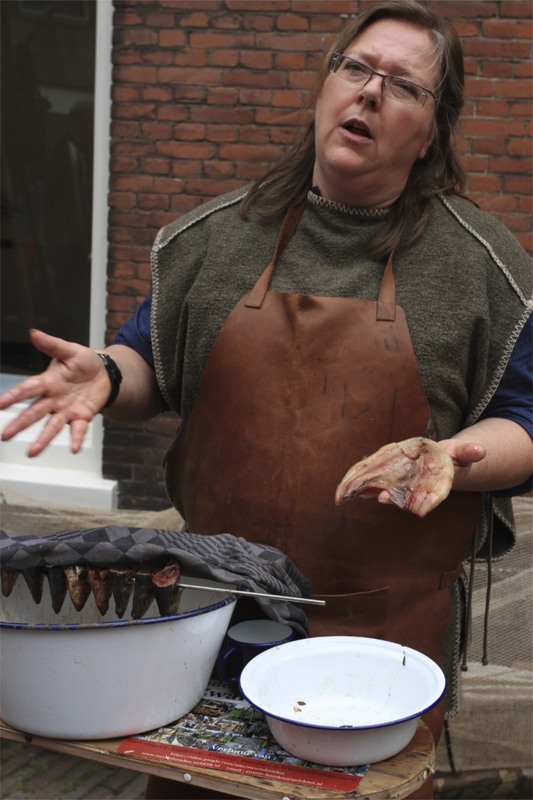 After that ritual humiliation I was liberated to explore the rest of the festival, and to sample some of the many types of food on offer. 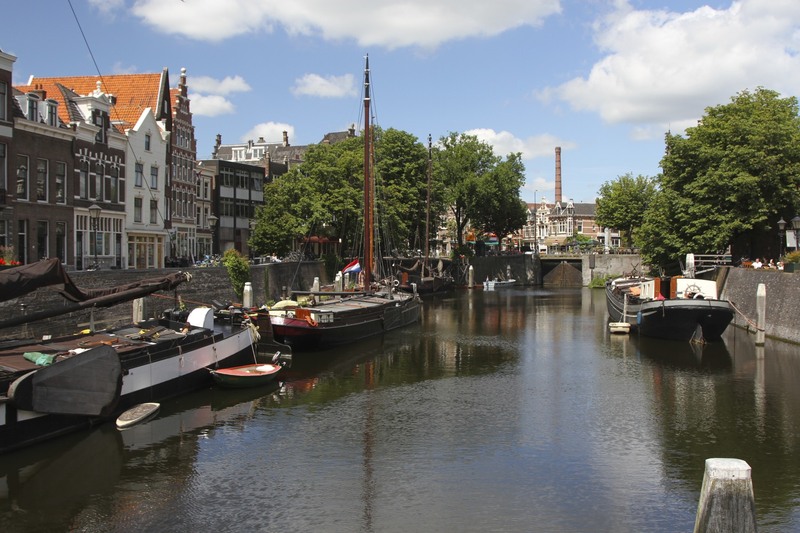 I’ve been to Delfshaven a few times, it’s one of the few historic areas of Rotterdam to survive the bombing during World War II. On previous visits its main attraction, the church in which some of the Pilgrim Fathers (really, no women?) prayed before departing Europe, had been closed. Today it was open so I got to crowd in there with dozens of other people to take a peek at a piece of history. 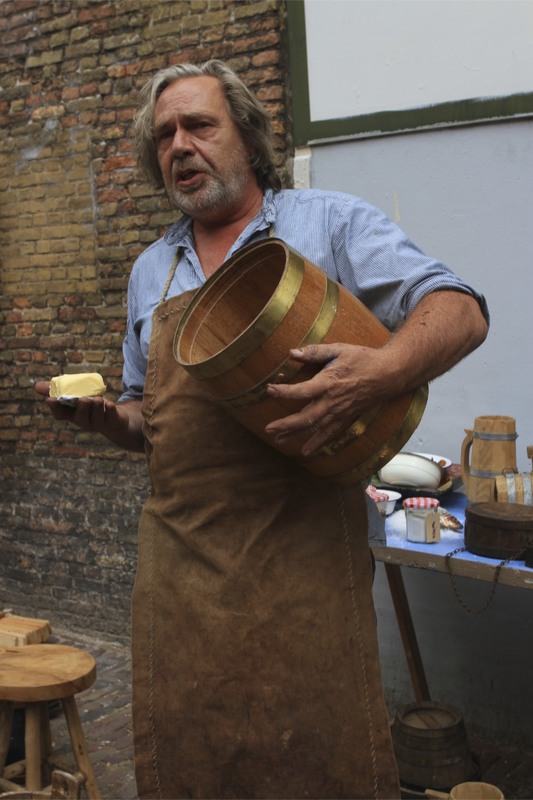 More interesting was the Pilgrim Beer on sale in a nearby microbrewery, which helped wash down some tasty Dutch cheese. 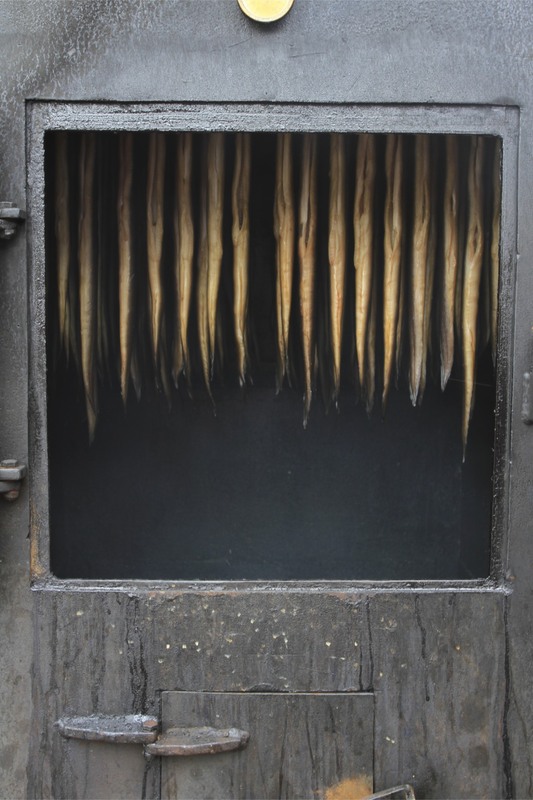 Around the corner from the bar was a street filled with people demonstrating traditional fish smoking – and gutting – as well as various crafts that have all but died out. 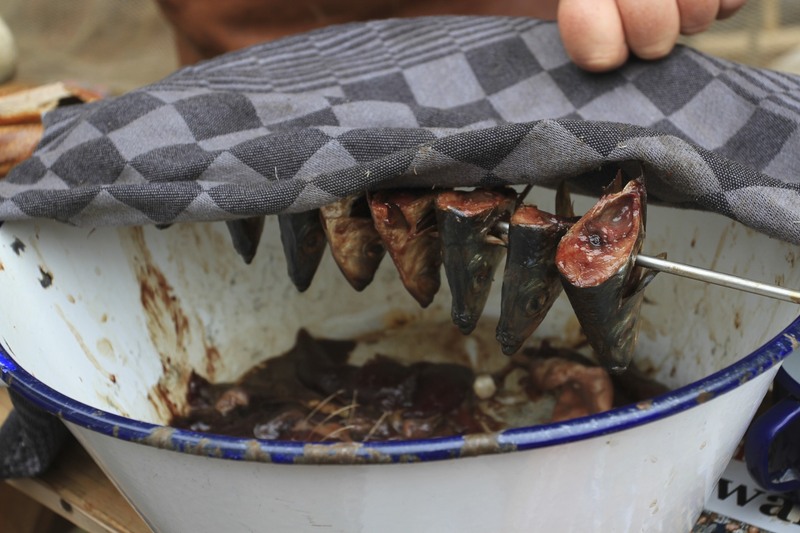 In the case of the fish guts this is a good thing. 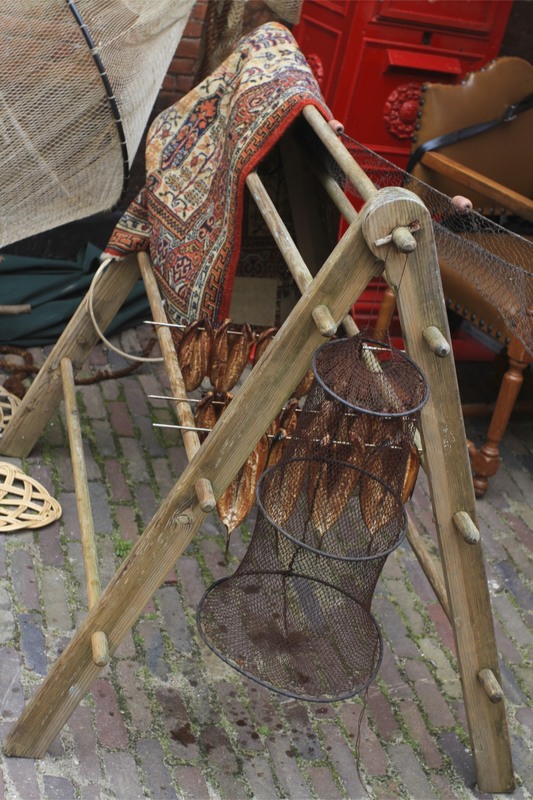 I wandered around the streets exploring the intricacies of Dutch traditions – many of which seem to feature fish – before finally heading to the food stalls. 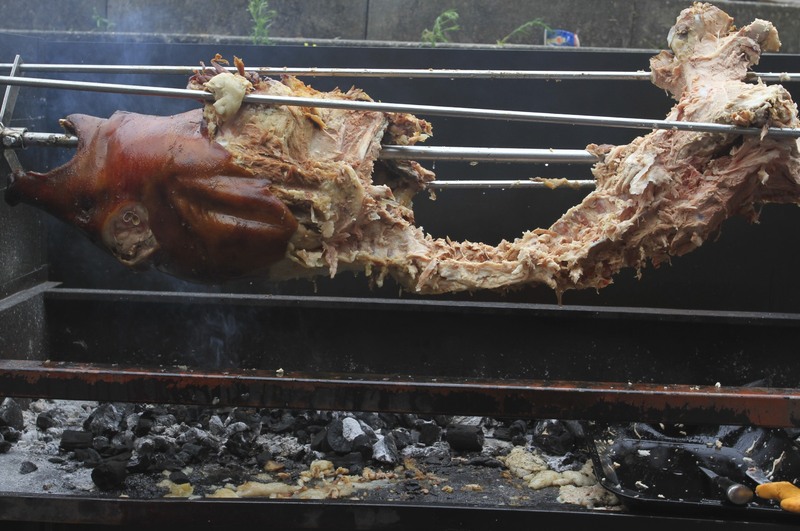 Here a whole roasted pig had seemingly been attacked by wolves. 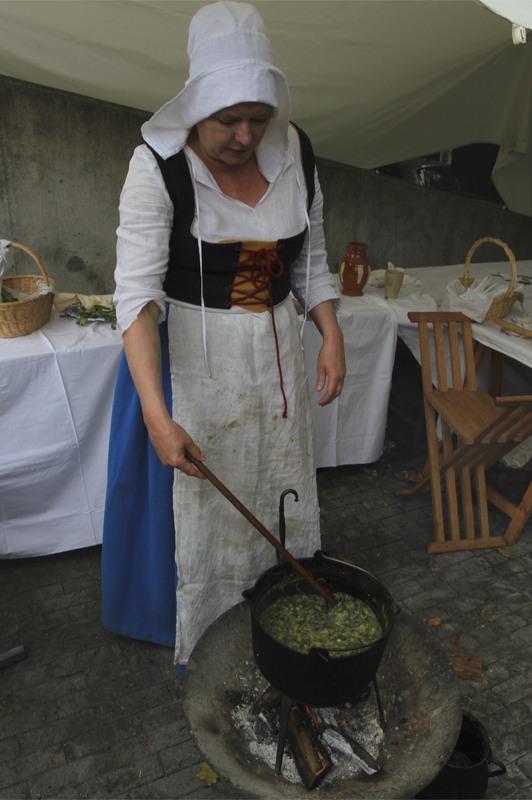 The microbrewery was plying its wares, and I decided that supporting local businesses was a good thing. The beers were delicious. 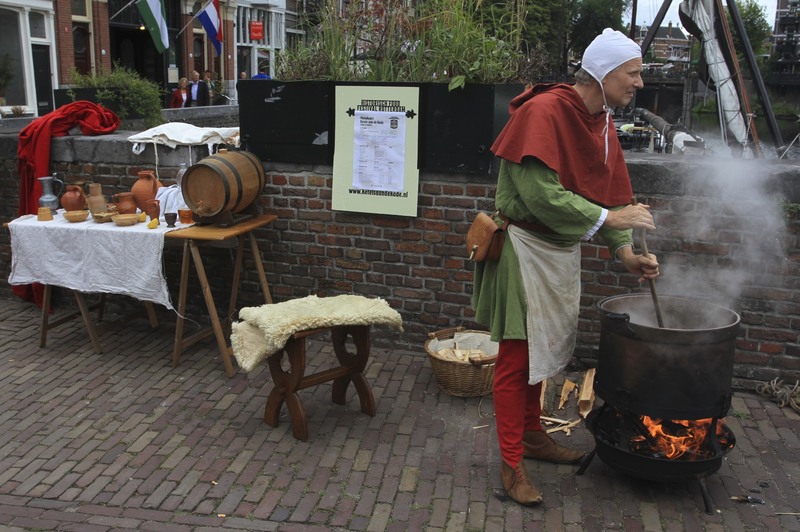 Food, drink, age-old crafts, music and street theatre all make Ketels aan de Kade a fascinating taste of Dutch history. 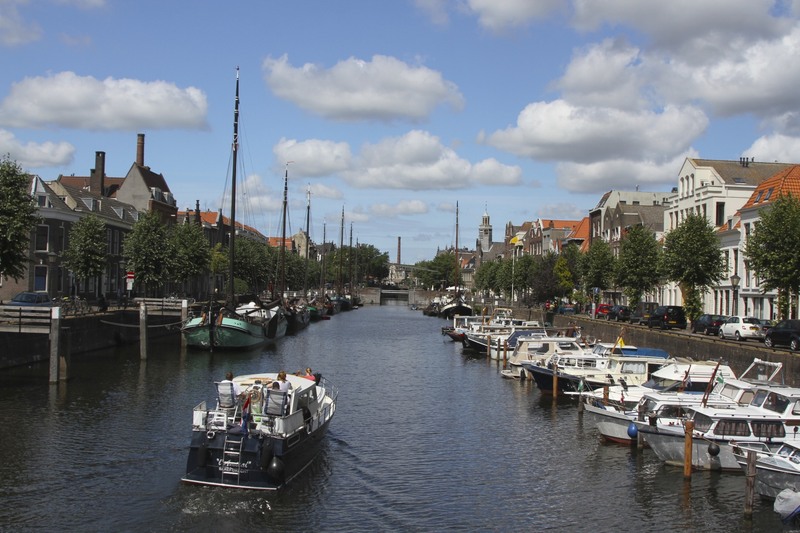 Founded in 1389 as the official port of Delft, and like the herring fisheries which played such an important role in it’s development, Delfshaven is teeming with history. 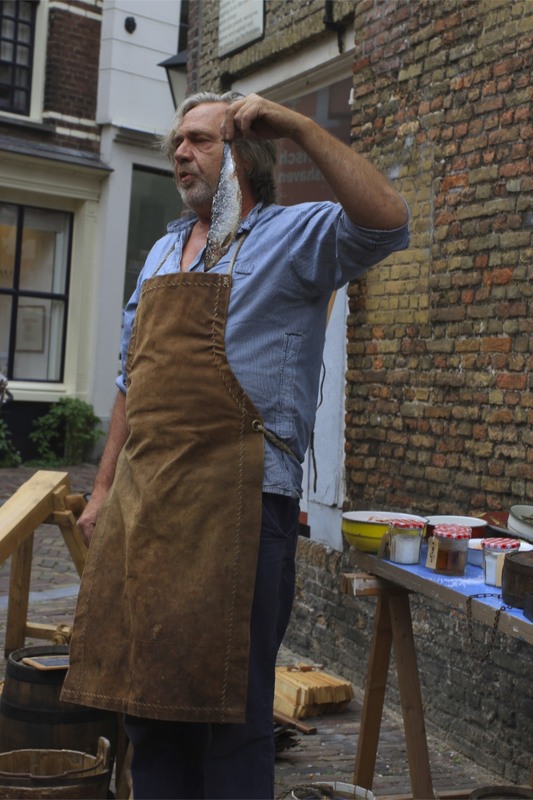 A history that is still visible as you stroll down the narrow streets amongst wonderful historic buildings, many of which were built with profits from the herring trade. 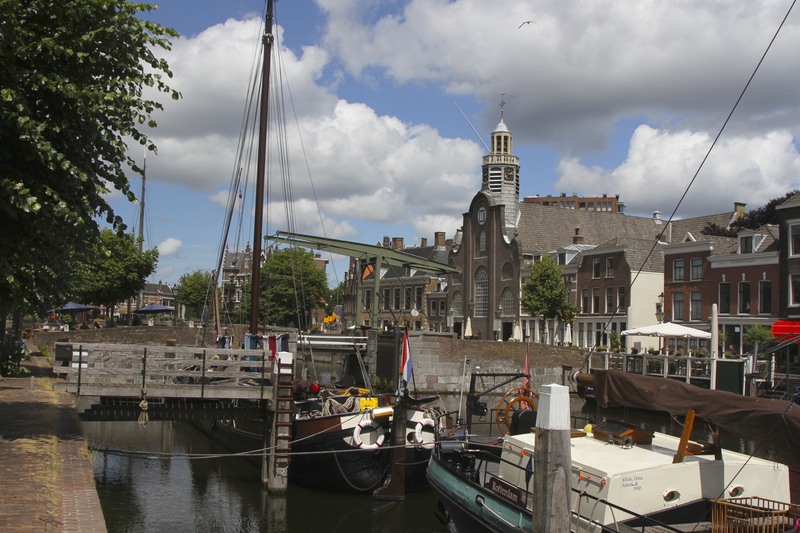 Delfshaven was one of the six ports of the Dutch East India Company, the legendary VOC, which dominated trade with the Far East for centuries; it was the birthplace of Pieter Pietersen Heyn, one of the Netherlands’ most famous sea captains, a notorious pirate he was the scourge of the Spanish fleet; it is home to Jenever, the Dutch gin responsible for the phrase ‘Dutch Courage’; and from this very same spot, some of the Pilgrim Fathers set sail for the New World of New England. 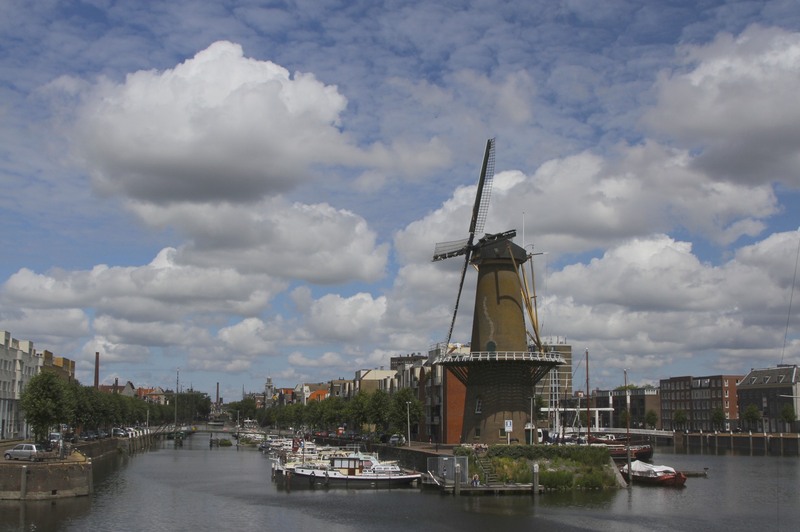 Modern-day Delfshaven sits gloriously compact in a Rotterdam suburb, home to an eclectic mix of artists, students and young families. 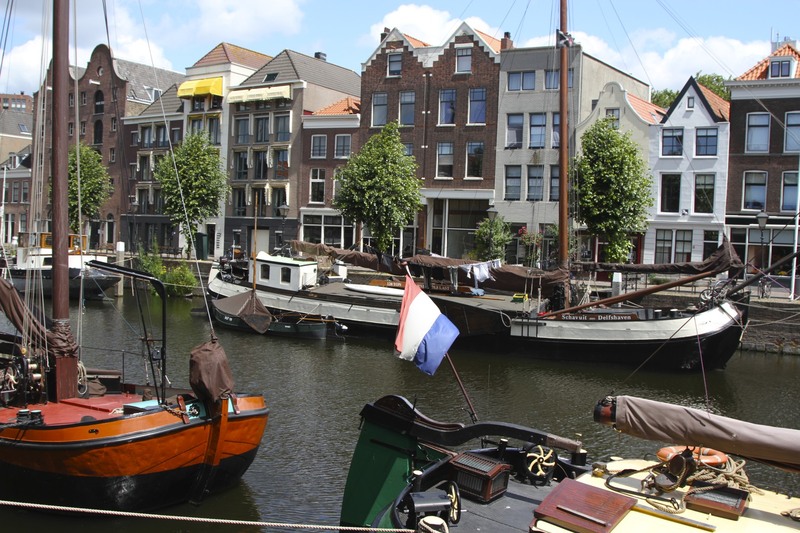 It gives the area a bohemian feel, underlined by the numerous restaurants and bars, as well as all the houseboats. 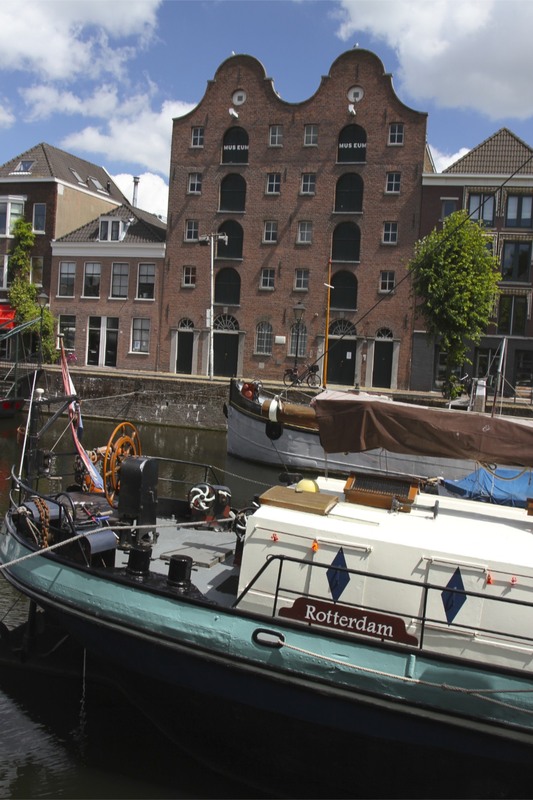 While the rest of Rotterdam was flattened during the Second World War, Delfshaven survived the Allied bombing and retains a strong sense of history. 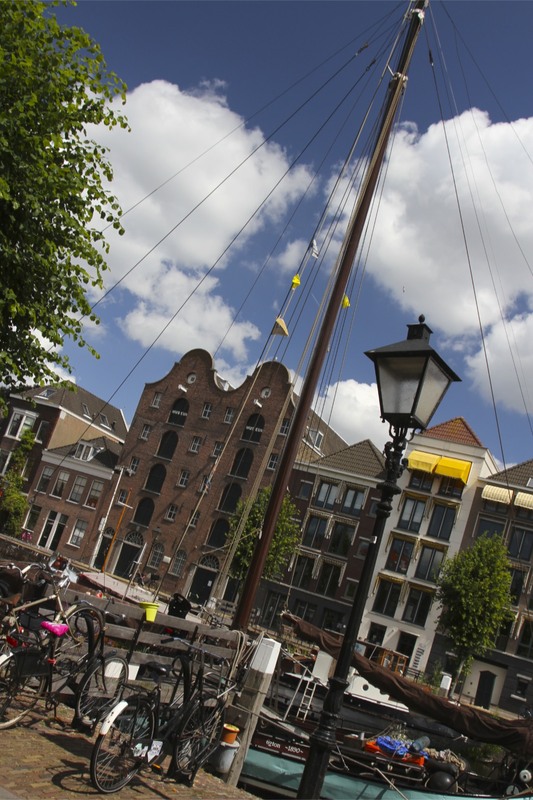 Walking through the area early on a Sunday morning, traditional Dutch barges were moored around the beautiful inner port; the famous Delfshaven windmill stood stoically observing the tranquil scene; and the sunlight struck the golden weathervane of the Pelgrimvaderskerk, the Pilgrims’ Church. History seemed to spring to life. 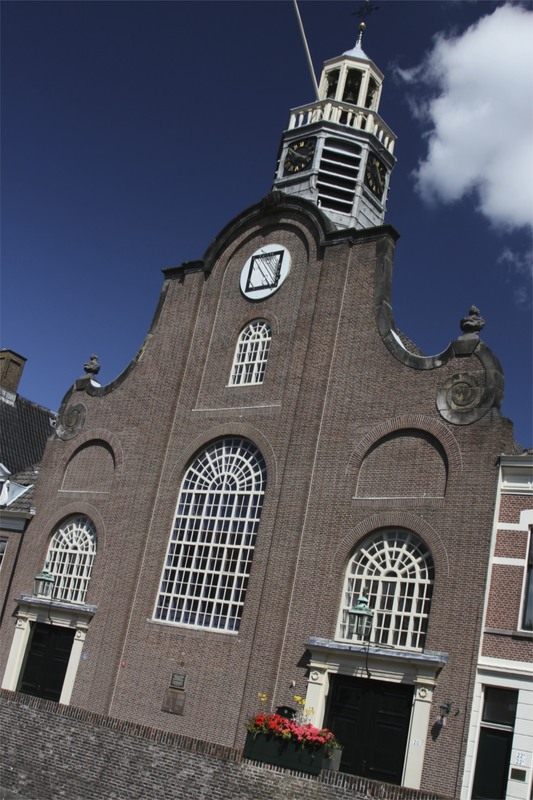 It was in the Pelgrimvaderskerk, and on the quay in front, that some of the Founding Fathers prayed before setting sail for the unknown. 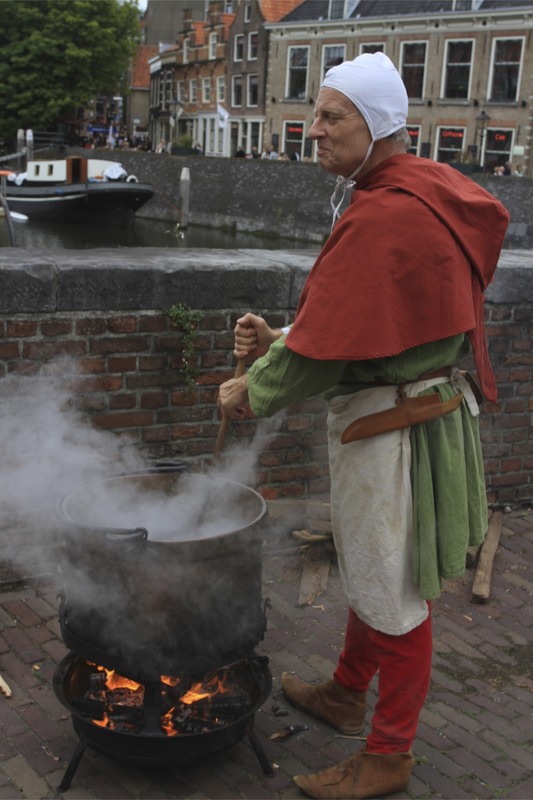 The Netherlands had long been home to English religious dissenters, those who refused to acknowledge the control of the Church of England because they didn’t believe it had been ‘purified’ of Catholicism. In a period when Church and State were one and the same, such views were seen as traitorous and fanatical by the English authorities. 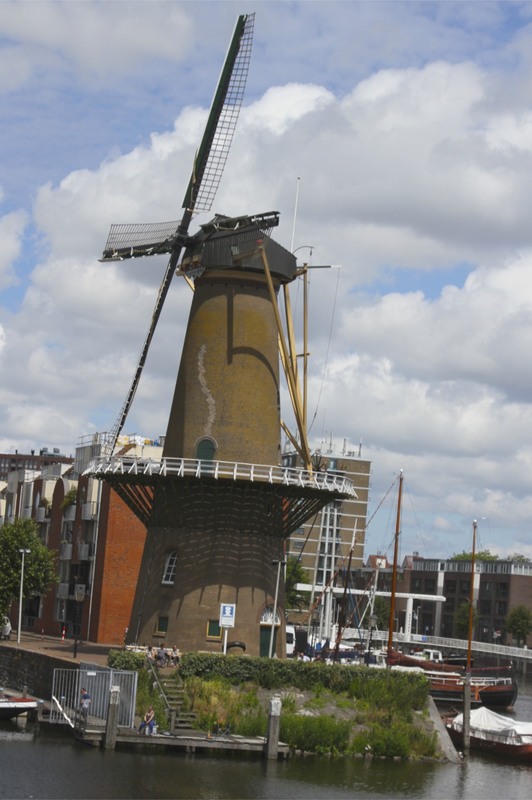 Across the North Sea, Dutch religious tolerance led many Dissenters to leave England for the land of the windmill. 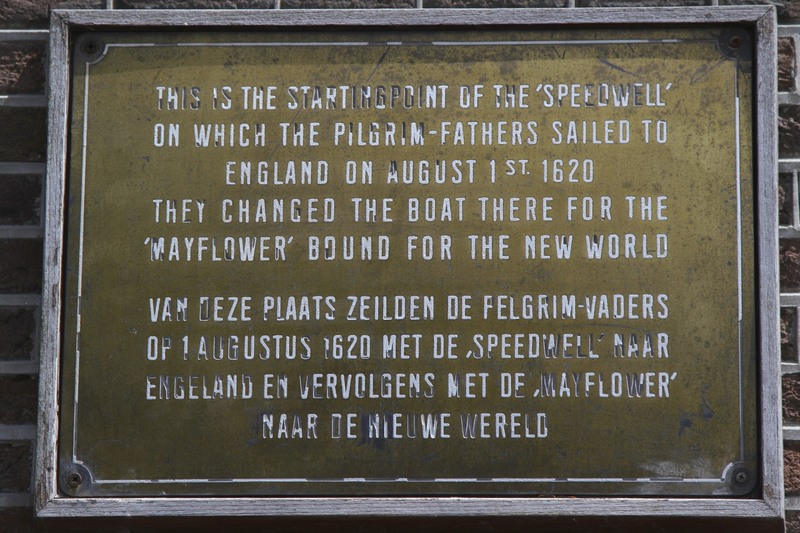 I came across this connection while wandering East London’s Rotherhithe earlier this year where I discovered the departure point for The Mayflower, the ship in which the Pilgrim Fathers departed for New England in 1620. 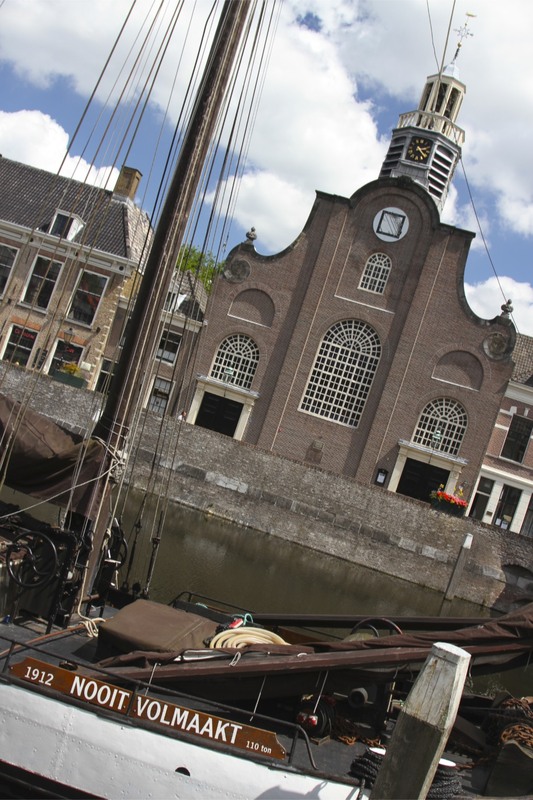 Rotherhithe and The Mayflower were just one half of a bigger story though; in the Netherlands another group of religious outcasts were preparing to make the same journey. 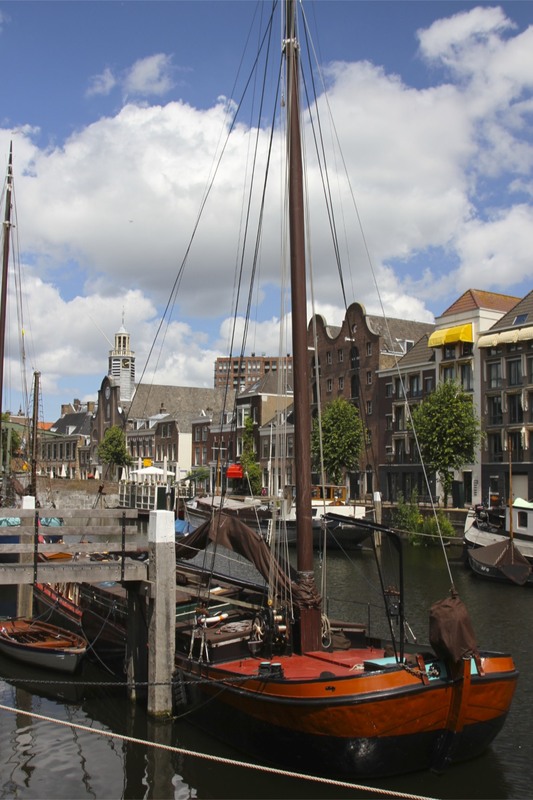 They left from Delfshaven, a 30-minute and 400-year journey from my current home in The Hague. When the Pilgrim Fathers sailed down the Thames in July 1620 they went to Southampton to rendezvous with a second ship, the Speedwell. 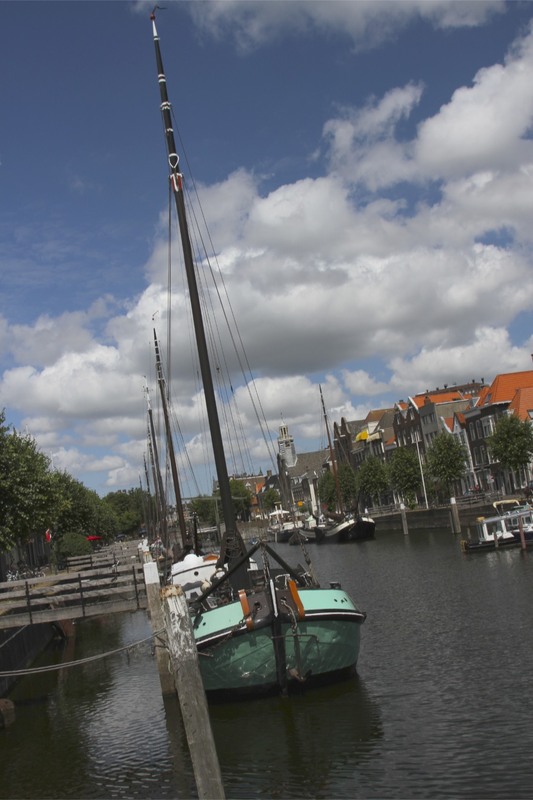 The Speedwell had been purchased and refitted in the Netherlands before sailing from the port of Delfshaven. 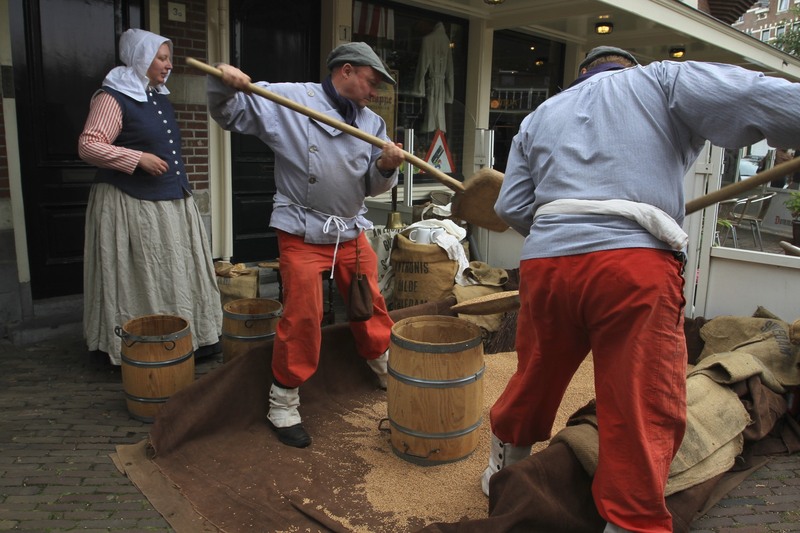 Its cargo was human, English Religious Dissenters who had based themselves in the Dutch city of Leiden before seeking new horizons in North America. The Speedwell and The Mayflower were supposed to sail the Atlantic together, but the Speedwell leaked badly and proved unseaworthy. It was destined to be left behind in England. 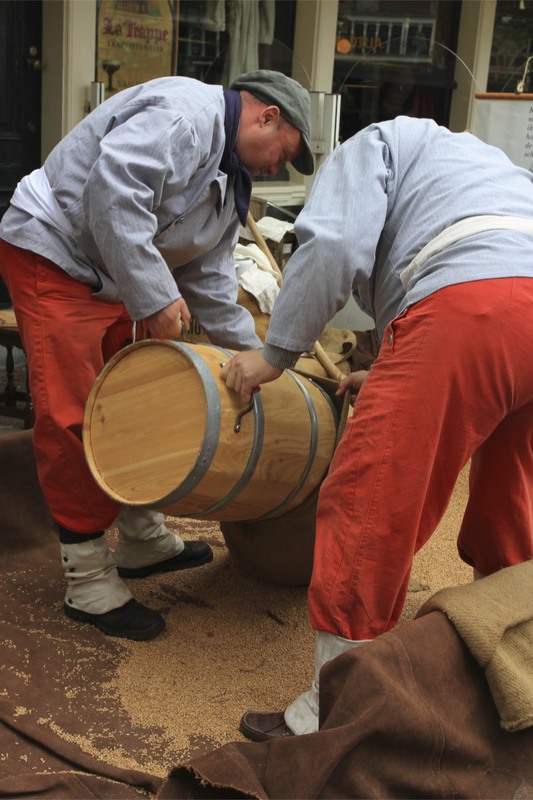 A number of passengers from Speedwell crammed onto The Mayflower and, in horribly cramped conditions, sailed into history.